Recently, the Uniform Dwelling Code Council (UDC Council) met and re-elected WBA members as the chair and vice chair of the council. Mike Coello was again elected chair and Mary Schroeder was elected to again serve as the council vice-chair. Other WBA members who currently serve on the UDC Council include Jesse Jerabek, Abe Degnan, Mike Marthaler, and Mark Etrheim. 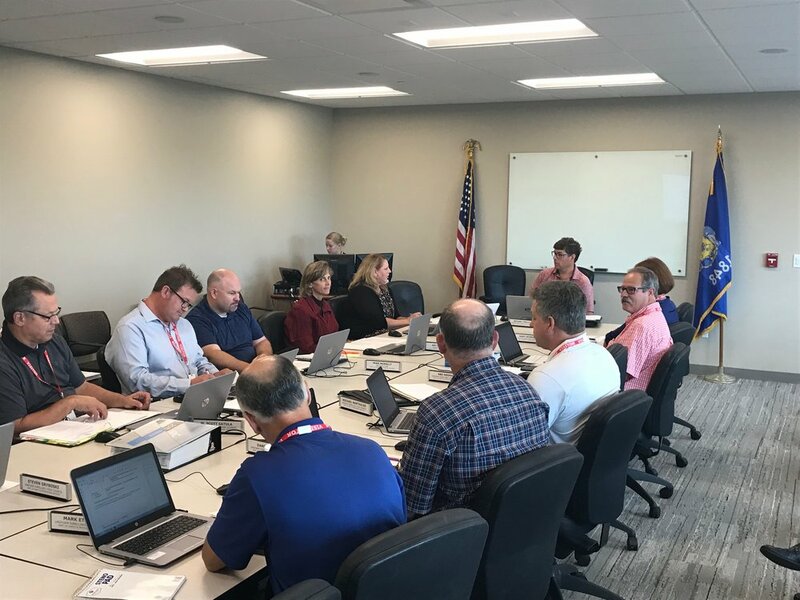 The UDC Council received an update from Department of Safety and Professional Services staff members on several recently passed state laws that affect the one- and two-family building code. Those updates included revised regulations on “rural hunting cabins” and a new state supported system that will allow contractors to show compliance with the state energy code for one- and two-family homes. Both provisions were contained in the most recently passed state budget bill. The UDC Council declined to look into additional changes dealing with the one- and two-family energy code or to revise current guard rail standards in SPS 321.225 to match that in the IRC (changing Wisconsin code from 24 inches above grade to IRC language of 30 inches above grade). Finally, the UDC also discussed a recent DSPS memo that stated those contractors wishing to pull a permit to do “repairs” on a dwelling do not need a DSPS credential and that those repairs are not covered under the UDC. This issue was also covered at the WBA Advocacy Group meeting in July, and members at that meeting had no issues with the current DSPS interpretation of the code. Following the meeting, the group advocating for this change were asked to provide specific code language change for both the UDC and WBA members to consider before the next UDC meeting, likely sometime before the end of the year. Today, a new Marquette Law School Poll will be released which should give voters a better idea of where the races for governor, attorney general, and U.S. Senate a month since the primary election are. Some things to watch for in the next poll: Governor Walker and the Republican Party of Wisconsin have been aggressive with advertising against Tony Evers talking about teachers who were not fired for various offenses and for a quote Evers made about releasing half of the prison population in Wisconsin. After millions of dollars have been spent on this effort, will it influence Evers’ image with voters? Will this cause Walker to move ahead of Evers in the head-to-head poll? The race for U.S. Senate show a tight race between Senator Baldwin and State Senator Leah Vukmir. Since the last poll, the Baldwin campaign has tried to define Vukmir as “not for us” in advertising. Will these negative hits on Vukmir change her image and the head-to-head numbers in the next poll? Finally, another important number for the race for governor is the right track/wrong track number. That number has been pretty solid as over 50% in most polling, which should be good news for the incumbent. If the new right track/wrong track number is again north of 50%, does Governor Walker’s re-election number match that? The new Evers’ ad can be viewed by clicking here. The ads have just begun in what is expected to be close race for governor that will continue right up to Election Day on Tuesday, November 6. Therefore, senators are calling on the U.S. to negotiate with Canada in a renewed effort to reach a new softwood lumber agreement. At NAHB’s urging, 171 bipartisan members of the House sent a similar letter to the administration in June seeking a resumption of the lumber trade talks. The Senate letter to Commerce Secretary Wilbur Ross and U.S. Trade Representative Robert Lighthizer does not take sides in this trade dispute. It simply highlights the need to come to an equitable solution that will satisfy all sides.